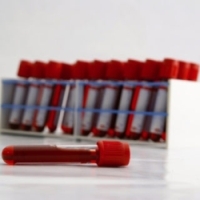 Can a Blood Test Detect Ovarian Cancer? Can it be Used to Detect Ovarian Cancer? Currently the only blood test used to help diagnose ovarian cancer is one that detects the CA-125 antigen. This test is reported to only return a true positive result for about 50% of stage 1 cancers, and is therefore not a good test for early detection when used on its own. For stages 2, 3 and 4, the test is about 80% accurate in detecting the presence of ovarian cancer. Apart from the problems with sensitivity (i.e. missing true positive cases) of the CA-125 blood test, it is also not very specific for ovarian cancer. A number of women’s reproductive disorders can give a false positive result, that is, CA-125 in the blood will be elevated, but there is no cancer. For example, endometriosis, benign ovarian cysts, pelvic inflammatory disease and first trimester pregnancy can all produce higher levels of CA-125. In addition, other non-reproductive disorders can elevate CA-125. For example cirrhosis, pancreatic cancer and certain other cancers. If you have a CA-125 level of 35 Units per milliliter or greater, this would be considered high and your doctor should be conducting other tests. Other tests will indicate if the elevated CA-125 level is due to ovarian cancer or something less serious. The test is less accurate in premenopausal women compared to postmenopausal women. This is because there are other conditions in premenopausal women that can increase the CA-125 level. In summary, the CA-125 test should not be used on its own to detect ovarian cancer, but rather combined with a transvaginal sonogram for example, or other pelvic exam, to improve its accuracy. The aim of the research in my lab is to determine which early changes in ovarian cancer can be detected in the blood. This could be used to make a sensitive and specific test for detecting ovarian cancer in the early stages, when it is most curable. 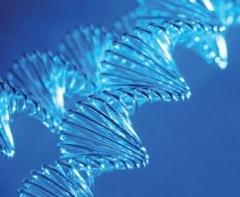 A number of labs around the world are also looking for markers of ovarian cancer in the blood. Many studies have been published on a variety of markers in the blood that are reported to detect ovarian cancer. A few of these have been brought to the market. These include OvaSure, which was developed at Yale University and Ovplex, developed in Melbourne, Australia. These tests claim to detect ovarian cancer with high sensitivity and specificity, however they have only been tested in small patient samples, and have been quite controversial. The US Federal Drug Administration (FDA) has advised the makers of OvaSure to stop selling the product on account of the small amount of research conducted. While scientists are working hard to find an accurate and easy to perform blood test for ovarian cancer, we women must remain vigilant and listen to our bodies, as only we can know when something isn’t right. The tests commercially available should be used with caution, and as always, consulting closely with a doctor is essential in obtaining the right diagnosis.